We had many more reasons to celebrate with the launch of three new ingredients, new claims substantiation data, new trends information and new concept formulations from our Suppliers. Please read on for full details. New ! AnnonaSense CLR derived from the South American fruit Annona Chemirola, this 100% natural, Cosmos certified active is a potent Adaptogen and phytocannabinoid with a Cannabinoidal-like effect. AnnonaSense CLR acts on the ECS / EVS system sustainably stabilising a healthy homeostasis in the skin. By activating the CB2 receptor and reducing production of key anti-inflammatory mediators CGRP, IL-1β and IL-8 skin sensitivity and itching are instantly reduced and longer term, skin appearance is improved. New ! AnnonaSense CLR starter formulations Sleep Well Night Care, Relax Body Lotion and Skin Relief Toner are now available. A series of ten smart cosmetic formulations which combine highly effective active ingredients with innovative textures and pleasant fragrances for goal-oriented products proven to work which at the same time engage all the senses for a holistic Wellbeing experience. New ! CLR website – click here to discover the new look CLR website which has lots of new features including CLR’s very informative Position Papers in the Expertise section. CLR’s Microbiome position paper “Sense About Microbiome Skincare” is available to download now. Use the Inspiration section to discover new concepts and read the latest CLR newsletter. Delivering natural Mediterranean beauty, the multi-functional ColorClay range can be used as natural, mineral colourants for soaps / colour cosmetics, cleansing agents in mild surfactant systems, mild natural exfoliants in facial skincare and as an oil absorber in face masks. New ! starter formulation Mineral Leg Make Up – hides imperfections and stretch marks for picture perfect legs. New ! in-use performance data on Baycusan® ECO E1000 the bio-based polymer containing > 50% renewable resources which meets the ISO 16128-1 Natural criteria. Tested in hair styling products compared to traditional styling polymers on textured hair versus a market product from Brazil, Baycusan® ECO E1000 hair styling polymer creates modern styling products with outstanding water resistance, humidity resistance and a great sensory experience; a natural polymer with a natural feel. New ! MICAH® in vivo clinical data demonstrating activity as a revolutionary ante-oxidant. Tests were carried out in vivo and ex vivo on the impact of UV light and visible light on DNA damage, inflammation, and ROS creation with and without Micah® - the results will amaze you ! Click here to see the presentation. New ! Baby Care Kit – nine new formulations to soothe, clean and nurture the specific needs of baby skin. Click here to view a copy of the Hallstar Baby presentation which covers the latest market trends, recommended ingredients and starter formulations. New ! Beautiful Dreamer Kit - a special collection of products which focus on the connection between a good night’s sleep and healthy skin. Click here to view a copy of the Hallstar Back To Sleep presentation which includes latest research, market trends, examples of finished products and nine starter formulations. New ! 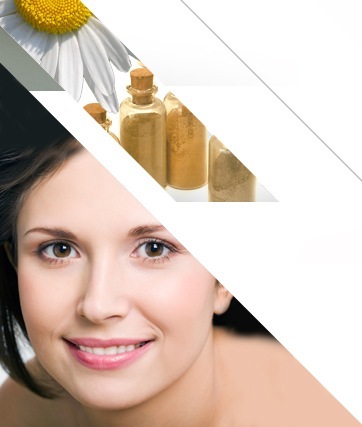 Hallstar Beauty website has been launched with a new Expertise area, specific sections for Skin Care, Sun Care, Hair Care, Colour Cosmetics and Toiletries plus the same free to access formulation library. New ! Relax & Rejuvenate Massage Oil containing Elula Kalahari Melon Oil, Moyo Baobab Oil and Mfula Marula Oil. Tapping into the latest market demands for easy to use on the go, water-free, customisable and SLS-free formulations, Vanderbilt Minerals show-cased their Veegum CH for instant success. New ! Deep Cleansing Instant Hair Treatment and an Instant Charcoal Mask have been added to their already extensive formulary. Utilising their brand new and exclusive Phyto Lipidic Fraction (PLF) technology platform which extracts the essence of lipids from the plant cell membrane, Vytrus Biotech have created OLEA VITAE PLF. Derived from plant stem cells of Mediterranean Wild Olive tree shoots, OLEA VITAE PLF is a powerful revitaliser of mature skin and fights energetic ageing using a new mechanism of action; stimulation of Mitochondrial Synapses. This hybrid oil replicates the activity of cellular lipids, protecting and optimising the energy of skin cells and increasing production of structural proteins. Tested on menopausal women, OLEA VITAE PLF delivered an astonishing anti-wrinkle, firming and repairing effect. OLEA VITAE PLF represents the first generation of biomimetic plant cell membrane lipids, the PLF whose unique composition works synergistically stimulating communication between mitochondria resulting in the formation of the Mitochondrial Synapses, thus igniting the energy and vitality levels of the epidermal cells. OLEA VITAE PLF activates energy rejuvenation cycles, helping cells to fight the programmed obsolescence of mitochondria. The final result is skin revival. New ! starter formulations containing OLEA VITAE PLF are available for Micellar Oil, Silicone-Like Matte Gel, Hydroglycolic Gel, Hydroglycolic Serum and an O/W Emulsion. 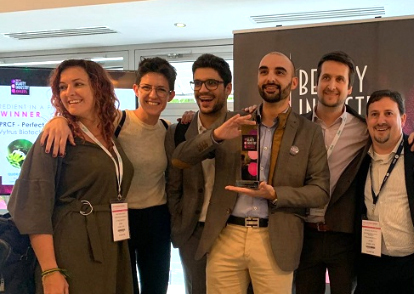 SarcoSlim Re-Shape PRCF won the Green Ingredient Award 2019 for the significant environmental and sustainability principles Vytrus Biotech apply to the development and manufacture of their products and the conservation project between Vytrus Biotech and the University of Jaen in Spain to ensure the survival of the Sarcocapnos DC plant species in the Sierra Mágina region of Southern Spain. Quora Noni PRCF won the Beauty Industry award Best Use Of An Ingredient In A Finished Product. 1% Quora Noni PRCF was formulated into a Perfect Touch Serum which has a light, comfortable texture and is presented in biodegradable plastic packaging which fits the Vytrus Biotech pro-sustainability philosophy. Quora Noni PRCF is recommended for the treatment of skin with a tendency to atopic dermatitis, psoriasis, rosacea or eczema and for dandruff / oily scalp / hair, sensitive scalp treatments. Many thanks to everyone who visited the Lake Personal Care stand at SCS Formulate 2018 where we presented our Wellness & Wellbeing theme. To help our customers capitalise on this emerging global mega-trend we created a unique Little Book Of Wellness which explores the Environmental, Occupational, Social, Intellectual, Physical, Emotional and Spiritual dimensions of Wellness & Wellbeing and delivers expert insights, future trends information and concept formulations from our supplier partners. 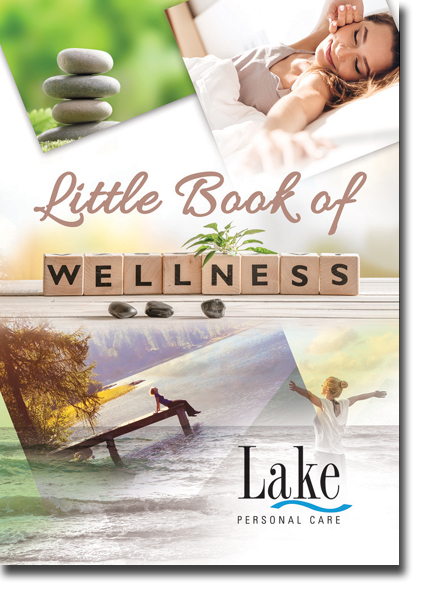 The Little Book of Wellness book and concept sample kit proved incredibly popular with visitors to the stand so if you missed out, please contact us. Daniel Whitby had the privilege of being involved in the Inform seminar sessions, presenting Once Upon A Time … Beauty Sleep, Wrinkles & Other Bedtime Stories in which he shared the latest scientific insights linking circadian rhythms to skin function, the effects of sleep on the skin and appearance and why we may have got night creams all wrong. Dan discussed the concept of “Beauty Sleep”, of sleep as a luxury in the 21st Century and emerging new product launches which connect to sleep / tiredness / fatigue. 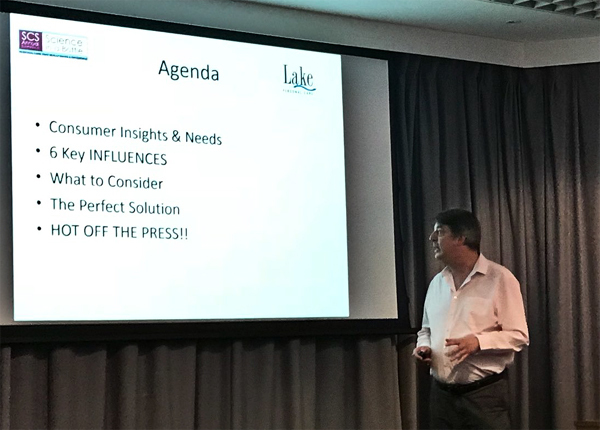 Please contact us for a copy of Dan’s presentation and to find out how Lake Personal Care can help you engage with consumers and create formulations which fully exploit this growing trend. John Lofthouse delivered an Inspire presentation on MultiMoist CLR™ - Mapping The Moisturisation Puzzle. Please contact us for a copy of the presentation. MultiMoist CLR™ is an all-natural, COSMOS certified, preservative-free, synergistic blend of Fructo-Oligosaccharides and Beet Extract which activates Vitamin D receptors, boosts Vitamin D activity and delivers immediate and long term moisturisation to skin by promoting epidermal differentiation. The result is an improvement in moisture content, smoothness and appearance of skin. MultiMoist CLR™ also has applications in hair care; it has been tested at 1% and is proven to increase penetration of water into the hair cuticle, improve hair condition, enhance colour retention, reduce hair breakage and minimise static and frizz. Also recommended for beards and brows. In the Discover Zone, CLR promoted a brand new Probiotic Moisture Bi-Phase Serum. This innovative and active formulation contains sparkling droplets of dyed water mixed with oil for a wow effect; MultiMoist CLR™ deeply hydrates the skin leaving it purified, revitalised and smooth, ProRenew Complex CLR™ based on a lysate of probiotic bacteria proven to promote the health of skin cells and skin and makes sure that the health of our skin and skin cells is safeguarded. Healthy skin looks good, feels great and is not sensitive to external stresses. The latest addition is ColorClay Ivory, an off-white Mediterranean clay which can be used alone or blended to create pastel shades. ColorClay offer ten coloured Mediterranean clays which allow formulators easy access to the rapidly emerging clay trend across both the skincare and haircare categories and of course masks. Think L’Oreal Elvive Extraordinary Clay Shampoo, Bare Minerals Clay Chameleon Transforming Purifying Cleanser and Charlotte Tilbury Goddess Skin Clay Mask. Invisible, breathable, flexible film formers for use in Hair, Skin, Sun, Self Tan and Colour Cosmetic applications. The Baycusan® products have a unique point of difference with respect to their Biodegradeability data which is the best of any film former in the market. Ocean Friendly sun care formulations are available. The first product in the range is Baycusan® eco E1000 which has been specifically designed for hair care. It’s performance exceeds that of synthetic acrylate polymers delivering long-lasting flexible hold, high humidity curl retention, thermal protection, anti-frizz, straightening and conditioning properties with a non-tacky, natural feel and no flaking. In the Discover Zone, Hallstar promoted Drops of Beauty Foundation. This is an excellent example of the hybridisation trend; multi-functional make up products which deliver multiple skin care benefits. It is a full-coverage fluid foundation enriched with active ingredients and moisturisers. Drops of Beauty Foundation delivers hydration, SPF, anti-acne and anti-aging activity combined with protection from urban pollution and blue light. Olivem® 2020 Kit demonstrates the versatility of Olivem® 2020 and in terms of hot or cold process, texture (water-gels, serums, creams, lotions and butters), alcohol tolerance, high oil compatibility, holographic visual effect and suspending properties. Make-Up Kit – multifunctional colour cosmetics with skin care benefits and novel textures including Foundation, Loose Powder, Bronzer Gel, BB Cream, Tinted Lip Balm Stick, Glitter Eye Liner, Cream Eye Shadow and Make Up Remover Gel. The Times Of My Life - a range of age-appropriate creams which take the user from their 20’s to their 60’s. These formulations address the changing needs of ageing skin and utilise a range of novel textures - light for young skin and more nourishing for older skin - achieved by combining Olivem® 2020 with Olivem® 300 with the Biochemica® exotic oils and natural butters. With Or Without You – see and feel the difference when Sensolene® / Olivem® 900 / Olivem® 300 / Olivem® 2020 and Olivem® VS Feel are added to colour cosmetic and skin care formulations. Coral Friendly Sun Care Solutions – OMC-free and Oxybenzone-free formulations including Anti-Sand Sunscreen Gel SPF 50, Light, Non-greasy SPF 30 Sunscreen Cream, W/O Mineral Sunscreen Lotion SPF 70, Clog-Free Zinc Spray SPF 50 and Sport Sunscreen SPF 70. Developers and producers of unusual African natural botanical oils which serve as active and functional ingredients. The range includes Elula Kalahari Watermelon Seed Oil, Moyo Baobab Oil and Mfula Marula Oil. Daniel Robustillo delivered an Inspire presentation; Hacking The Microbiome Communication System which introduced Quora Noni PRCF, the concentrated metabolome of totipotent cells from Noni (Morinda citrofolia). Rich in Anti-Quorum Sensing molecules (Anti-Quormones) specially designed for “dermohacking”, Quora Noni PRCF acts synergistically against Quorum Sensing mediated microbial dysbiosis and blocks the microbiome communication signals to avoid the formation of biofilms and the development of virulence, without killing or threatening the microbiota. Quora Noni PRCF does not contain antibiotics thereby avoiding the potential resistance that microbes can develop, it is bacteriostatic and works by maintaining the microbiome balance. Quora Noni PRCF perfects skin’s appearance by reducing sebum, minimising pores and improving the appearance of acneic lesions. In the Discover Zone, Vytrus Biotech promoted Quora Noni PRCF in their award winning Perfect Touch Serum. The formulation has a light, comfortable texture and is presented in biodegradable plastic packaging which fits the Vytrus Biotech pro-sustainability philosophy. Quora Noni PRCF is recommended for the treatment of skin with a tendency to atopic dermatitis, psoriasis, rosacea or eczema and for dandruff / oily scalp / hair, sensitive scalp treatments. Last but not least, a bit about our stand - our most sustainable, environmentally friendly and energy efficient exhibition space to date and 95% re-useable. We deliberately avoided a traditional timber / mdf design and the associated dust and huge wastage associated with this type of construction which impacts upon the environment. Our stand was an aluminium display system with printed substrates and a recycled carpet. Construction was quick and easy saving time, the lightweight materials can easily be compacted down into cases which saves on labour and transport costs and minimises pollution. We used LED lighting to reduce our power consumption – even our plants were real and have all gone to loving homes ! October 2018 - "The London Microbiome Meeting"
Lake Personal Care attended the London Microbiome Meeting on the 24th of October at St Thomas’ Hospital in London. Hosted by the Department of Twin Research at King's College London, this bi-annual event creates a forum where research exploring the field of microbiomics is shared. The event delivers an overview of the latest research and methodology and generates a network among the various research groups and institutions undertaking this type of work. Topics at the conference included quorum sensing signalling, reduction of antibiotic use, host-microbiome interactions, the human microbiome, microbiome profiling and a novel art-science collaboration; Outside In. 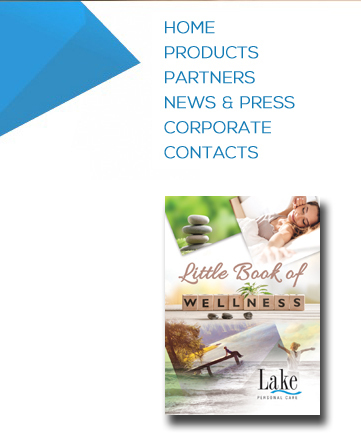 Please contact Lake Personal Care for full information on our Microbiome portfolio which includes probiotic technology and anti-bacterial quorum sensing molecules. 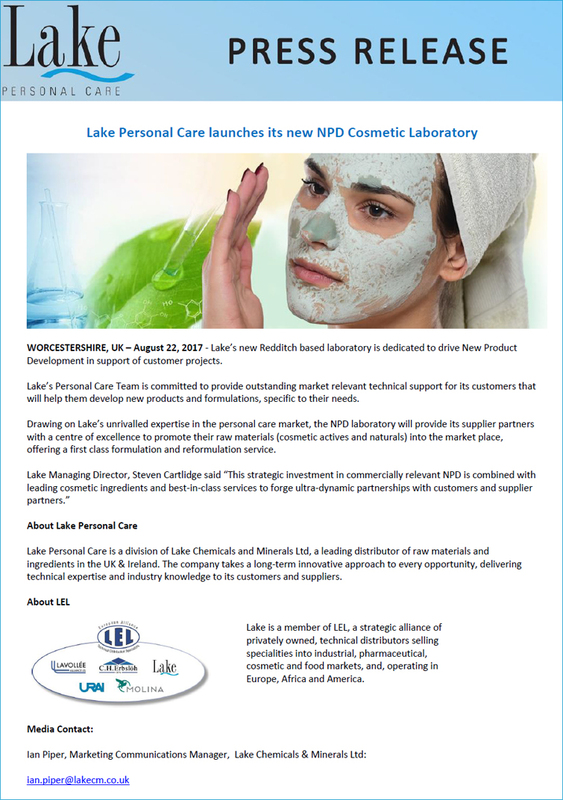 Daniel Whitby from Lake Personal Care was invited to speak at this one day conference that encompasses all aspects of cosmetic product testing and claims. Daniel started the event off with a presentation “Seven Top Claims Predictions for the Future”. Insights included the shift from anti-ageing to healthy skin, impact of the exposome model on skin ageing and the rise of the “Digital Beauty and the Wellness” megatrend. 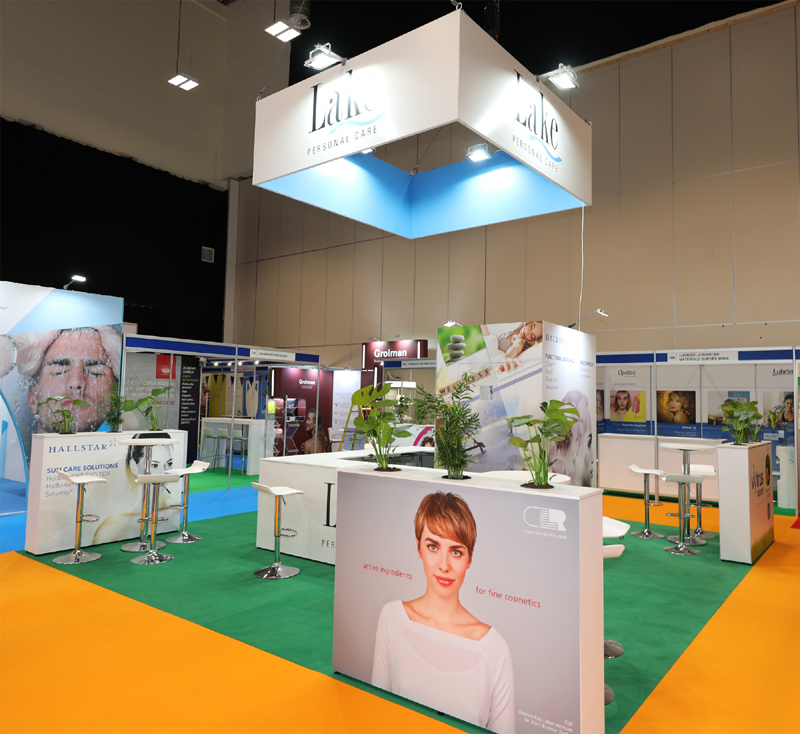 The event drew over 40 delegates from all aspects of the cosmetics community and finished with an expert panel session. Many thanks to all the delegates who travelled to the event and the other speakers for making it such a success. Thanks also to Gill Westgate for chairing and Lisa Buck from YCF for arranging the event. If you would be interested in seeing the presentation please contact us. Lake Personal Care attended the TSGE Forum at Leatherhead Food Research. The one day event attracted an audience of representatives from contract manufacturers, brand owners, consultants and ingredient manufacturers. 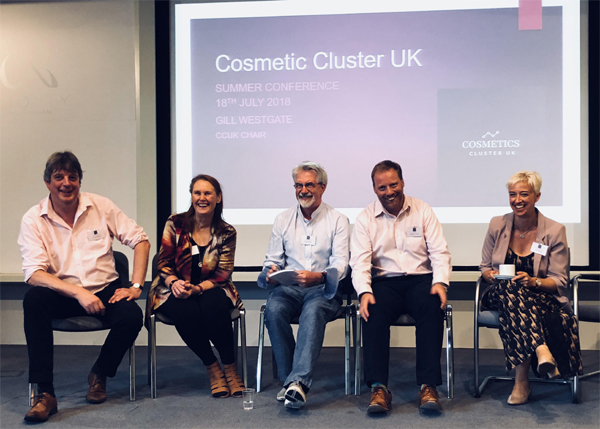 The programme comprised eight talks and subjects included regulatory changes, marketing claims, Brexit and two hot topics; customisable cosmetics and the skin microbiome. Harald van der Hoeven, Director Technical Marketing at CLR Berlin presented “Cosmetics And The Microbiome : Not Only A New Trend“. CLR have been market leaders in probiotic technology for over 30 years, championing the cause that bacterial lysates positively influence skin flora and proving that their use in cosmetic products benefits the skin. If you would like further details on Harald’s presentation and the range of CLR skin care actives via Lake Personal Care, please contact us. Petra Sturgeon and Daniel Whitby from Lake Personal Care attended the two day SCS “Science in a Bottle” event. The event programme comprised of 24 talks, covering four main themes and attracted an audience of 100 delegates, which included representatives from retailers, brands and academia. Our supplier partner CLR Berlin was a key sponsor of the event and our team joined John Lofthouse, Director Global Sales and Marketing, at their top table exhibition during the intervals and networking breaks. John gave a presentation on the new active from CLR, “MultiMoist”, entitled “A New Multifaceted Approach Toward Skin Moisturisation”. The role of vitamin D, in the skin is well described in scientific literature. Particularly interesting is its role in skin processes relevant to moisture levels. Vitamin D deficiency is common in people suffering from atopic dermatitis, a skin disease that is associated with reduced skin barrier function and skin dryness. Additionally, vitamin D is an important initiator of filaggrin production, which is of particular note in this context, filaggrin being the most important raw material for the production of NMF. MultiMoist, the latest product to be developed by CLR Berlin, has been shown, in-vitro, to have significant activity in stimulating the efficiency of Vitamin D receptors in skin cells. In-vivo it was shown through 6 different in-vivo tests to improve the moisture levels in the skin and improve qualities, such as skin smoothness, which are indicators of well moisturised skin. Daniel's presentation followed this, outlining how digital beauty will help new products meet the needs of the modern consumer. As the skincare industry shifts away from anti-ageing and the traditional bricks and mortar sales model, new opportunities are arising for the application of technology in the beauty marketplace. The presentation explored the current landscape in terms of the “Quantified Self” trend, explained how augmented reality can drive increased sales, and reviewed a recent study exploring consumer expectations of the industry. Looking to the future, the key trends which will contribute to brand delivery was shared along with a detailed analysis of influences from industries as diverse as construction, technology and food. Future claims trends was analysed and a WTF (What’s The Future) approach taken to show how all these factors will combine and contribute to Beauty 2.0, with efficacy at its heart. Many thanks to all who came to see us at the show and if you would like any further details on the presentations please contact us. Photograph courtesy of Heidi Bannister, Arthur Edward. One of the most important science driven events in the calendar, this biennial conference attracts members of the cosmetic science community from all corners of the globe. 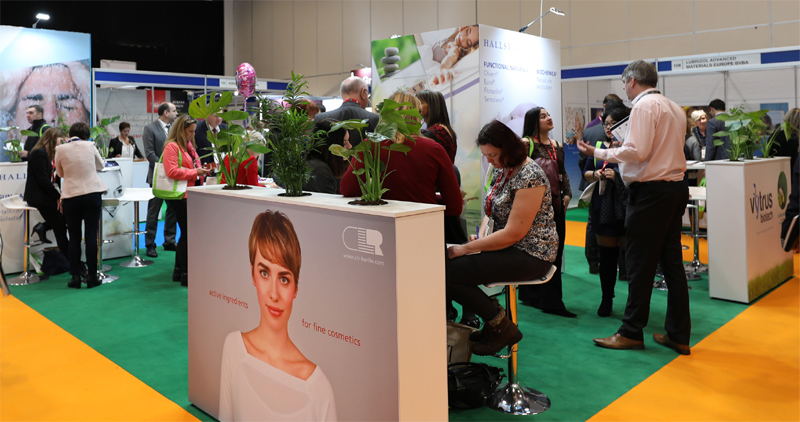 This year’s key theme was “Skin Health and Skin Ageing” and seventeen presentations over two days covered a wide range of subjects including epigenetics, future insights, electromagnetic radiation and massage and sensory effects. Daniel Whitby from Lake Personal Care attended the event and also had his key insights from the conference featured on the British Beauty Blogger website. Many thanks to all of you who visited us at In Cosmetics, it was a great show and we look forward to following up with you over the next week or so. Below is a topline summary of what was new from our supplier partners from the show. NEW! MultiMoist CLR™ - a powerful synergistic blend of fructooligosaccharides and beta vulgaris (beet) root extract. MultiMoist CLR™ activates production of the vitamin D receptor (VDR) and also potentiates the effect of vitamin D. As a consequence the skin becomes more moisturized. By making use of 5 different objective instrumental approaches, the immediate and long term moisturizing properties of MultiMoist CLR™ were convincingly proven. A further consumer study proved that subjective improvement of skin moisture content, skin smoothness and the look of skin were all improved. What is beauty and well-being all about ? Healthy skin is the basis of both. Keeping skin healthy and providing it with a sustainable feeling of well-being is a complex topic which requires scientific know-how and expertise. Make it simple. Be smart. As you will already be aware if you have seen our latest trends presentation the use of clay in products is a rapidly growing trend (see L’Oreal’s recent Pure Clay range launch). Color Clay have extended their clay offer with NEW ! ColorClay Ivory – an off-white Mediterranean clay which can be used alone or blended to create pastel shades. NEW! Clay Bubble Mask formulation, these have been all over Instagram recently and a favourite of celebrities and bloggers. NEW! Biodegradability data for the entire Baycusan range. 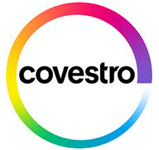 Covestro engaged with the interactive platform "Sustainability Corner" to inform visitors and exhibitors about its sustainability initiatives and its specific approach for the cosmetics industry. Focus will be given on both renewable raw materials and product end-of-life, e.g. biodegradability. NEW! Personal Care Formulary which includes Ocean-Friendly SPF products, peel off masks, hair and beard styling gels, waterproof in-shower styling creams and sprays and a rinse-off conditioner with conditioning and styling properties, thermal protection, durable strong hold, 24 hour frizz control, shine boosting and split end repair benefits. Also at the show their new Peelable Water-Based Nail Polish was a big hit on the stand attracting a lot of interest. NEW! Biochemica Turmeric Butter, sure to be a huge hit with the current trend for all things turmeric. NEW! Anti-Pollution Kit – 8 great formulations to protect the skin from city life. New formulations available for face scrubs, washes, hair treatments and masks using Vanatural and Veegums. NEW! Quora Noni PRCF – hacking the microbiome. It is rich in anti-quorum sensing molecules (Anti-Quormones) specially designed to act synergistically against Quorum sensing mediated microbial dysbiosis and its side effects. The active offers a new mechanism of action against acne and other skin conditions; blocking the microbiome negative communication signals, without killing or threatening the microbiota. The active’s effect is bacteriostatic and not bactericidal which allows it to maintain the balance of the skin’s microbiome. Sarcoslim Re-Shape PRCF is a new concept for liposculpting. This skin re-modelling system helps reduce fat while taking advantage of the intercellular energy released through the burning of this fat to tighten and firm tissue, so specific parts of the body can be sculpted. Made from the callus culture of the close to extinction South-Iberian plant Sarcocapnos crassifolia, the active is a metabolome rich in plant lipid management related factors specially designed to produce fat burning, generate an increase of cell energy metabolism, and reactivate the mechanical properties of skin. Full clinical dossier available upon request.